ISLAMABAD – Radio Pakistan Director General Syed Muhammad Imran Gardezi has said that the state-run organisation is going to extend its reach across Pakistan through new high rangetransmitters. Addressing the staff and artists of the Radio Pakistan, he said that being the voice of the nation, the national broadcaster has played a very significant role in the socio-economic development ofPakistan. 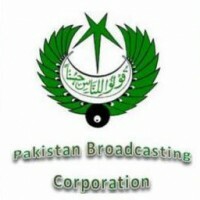 Since independence, the Radio Pakistan has set a standard of broadcasting which now has become a hallmark for other broadcasting institutions, the director general also said.